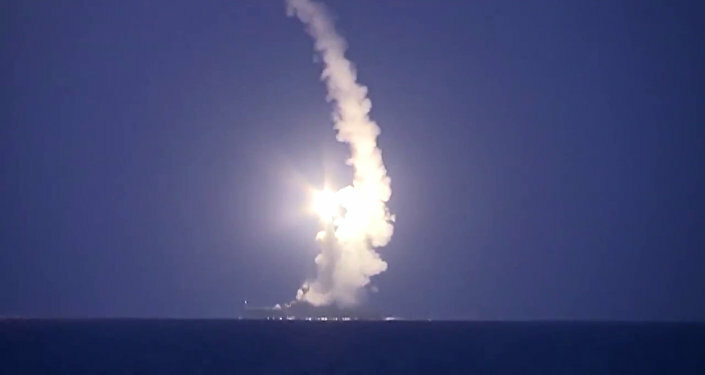 Russian warships of the Black Sea Fleet conducted three launches of the Kalibr cruise missiles on al-Nusra Front targets in Syria, the Russian Defense Ministry said. The strikes destroyed a terrorist command center and a base Dar-Taaza, as well as a major plant producing mortar ammunition and a large arms depot in the Aleppo province, the ministry said. “The transit corridor for the Kalibr cruise missiles from the Mediterranean Sea was planned over an unpopulated area to ensure the safety of civilians,” the ministry said.Russia’s Kalibr cruise missiles that have a range of 2,000 km were first used in combat in October 2015, when the Gepard-class frigate Dagestan, part of the Caspian Flotilla, and three other Russian Navy corvettes launched 26 Kalibr-class cruise missiles from the Caspian Sea at 11 targets in Syria as part of Russia’s aerial campaign against terrorists. 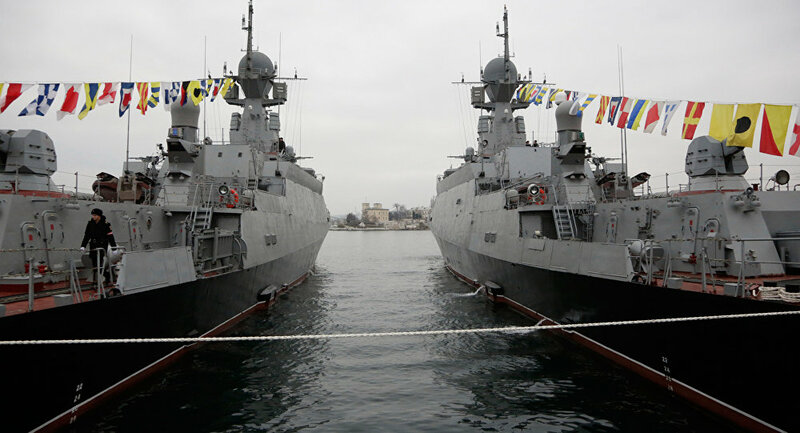 The Black Sea Fleet is expected to receive a batch of five new Project 22800 ‘Karakut’ (‘Black Widow’) warships, classified as both ‘small missile ships’ and ‘small corvettes’. Commenting on the prospects for the new vessels, military journalist Boris Stepnov suggested that the new ships will allow the Navy to turn the Black Sea into a fortress. The Zelenodolsk Plant shipyard has received another order, this time for five small multipurpose Project 22800 missile ships. The next-generation vessel has a displacement of 800 tons, is 65 meters long, 10 meters wide, and has a draught of 4 meters. The vessels have maximum speed of 30 knots, a cruising range of up to 2,500 nautical miles, and can stay at sea for up to 15 days at a time.By all indications, the new vessels will be assigned to the Black Sea Fleet. The first of them will be handed over to the Navy in 2018, the last in 2021. The ships, equipped with Kalibr cruise missiles, are designed to complement the Project 21631 Buyan-M (‘Brawler’) missile ships, also built at Zelenodolsk. The latter vessels, also a recent development, are designed specifically for the Caspian Sea and the lower reaches of the Volga. “For instance, to protect themselves from enemy air power, the Buyans feature a 30 mm Ak-630M-2 Duet machine gun, which is adequate for use on rivers and in the Caspian. But operations at great distance from its home territory require more powerful protection. The Karakut is equipped with the Pantsir-M,” a naval version of the Pantsir-S1 combined surface-to-air missile and anti-aircraft artillery system produced by the KBP Instrument Design Bureau. It’s known that the Karakut uses the 3S13 launcher, allowing the vessel to use both the Onyx anti-ship and Calibr-NK cruise missiles. Area covered by the Kalibr-NK class cruise missiles based on maximum range; the circle on the left indicates range from the Black Sea, the circle on the right that of ships in the Caspian. 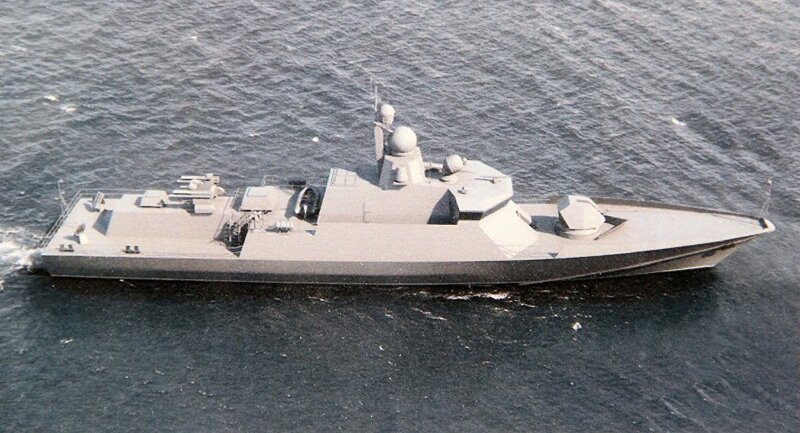 The Karakut may be small, but will certainly be able to “bite” even cruiser-sized vessels, the journalist suggested. Next Monday, US Navy ships will join their Ukrainian counterparts in Black Sea naval drills dubbed Sea Breeze-2016. However, some analysts are concerned that the content of the exercises could lead to devastating consequences for the entire region. The ‘Black Sea Breeze-2016′ drills are set to start in southern Ukraine on July 18. Speaking to the Ukrainian media, Defense Ministry spokeswoman Oksana Gavrilyuk vaguely explained that the exercises’ will focus on a ‘multinational security operation’ in a ‘crisis region’. For his part, independent Russian military analyst Sergei Ishchenko is concerned that the operation amounts to a rehearsal for an invasion of Crimea. In a worrying analysis for Svobodnaya Pressa, a Russian online newspaper, Ishchenko, a retired Navy captain and graduate of the Sevastopol Nakhimov Naval School, warned that despite the exercises’ regularity (this is their 15th year), a closer analysis reveals that they are anything but regular. Incidentally, ‘Breeze-2016’, a separate set of exercises with a similar name, began earlier this week in the territorial waters of Bulgaria. Involving 25 vessels, two planes, two helicopters and some 1,700 personnel from Bulgaria, Romania and Turkey, as well as Greece and Spain, the exercise also includes the participation of the alliance’s ‘Partnership for Peace’ partners.Those drills are being closely monitored by the Russian Black Sea Fleet’s intelligence ship Liman. “The answer,” the analyst suggested, “lies in the second part of the question: their unified command.” Those involved in the planning of the closely timed naval exercises apparently wanted to demonstrate their common overall purpose and common enemy which, naturally, is Russia. The fact that Sea Breeze and Breeze aren’t just one large exercise may have more to do with political considerations, according to Ischenko. Effectively, Ishchenko suggested, clearing the approaches to the shore is a mandatory component of preparations for amphibious landings. The resources for this already exist, and could include US Navy SEALS, recently reported to have been deployed in Bulgaria, as well as Ukraine’s 2nd Detachment of the 73rd Maritime Special Operations Center in Ochakovo. Essentially, “the US’s multipurpose cruiser subs will only be able to participate in the exercises from the Mediterranean Sea. What tasks can they effectively solve there? Only one: subjecting Crimea or other Russian Black Sea territories with a massed Tomahawk cruise missile strike.” There’s literally nothing else for them to do, according to Ishchenko. The Ukrainians will use up to eight aircraft and helicopters, plus 50 ground vehicles, and most importantly – nine ships and smaller vessels.In consideration of the derelict condition of much of Ukraine’s Navy, it’s likely, according to the analyst, that the forces used will include the flagship frigate Hetman Sahaidachny, the recently restored tanker Fastov, the search and rescue vessel Donbass, the supply vessel Shostka, the fire boat Borschev and the Novoozernoe tugboat. This list might also include the missile boat Priluki, which was recently restored at the Mikolaiv docks. That ship has only begun mooring trials, and appears to be unprepared to maneuver alongside US cruisers and frigates. Ultimately, “it would be interesting to know whether a hypothetical nuclear exchange has been taken into account in the planning in Washington and Kiev for Sea Breeze-2016,” Ishchenko concluded. On Saturday, St. Andrew’s flag, a sign of the Russian Federation’s Navy, were sanctified and raised on the new ships. The solemn ceremony was attended by commanders of the Black Sea Fleet led by Admiral Vitko, as well as the head of the Republic of Crimea Sergey Aksenov. “The ships were put on combat duty today. Previously, the ships were only tactical, but now they will include operational tasks. Their combat capabilities were seen by the whole world in the Caspian Sea and now they have appeared in the Black Sea Fleet,” Vitko said.Vitko thanked the creators of the ships, the labor collective of the Zelenodolsk plant, noting that the fleet is expected to supply a few more combat units. The ‘Green Dol’ and ‘Serpukhov’ small-missile carriers are the fourth and fifth ships of the modernized series of ‘Buyan-M’, built as part of the Navy’s shipbuilding program at the Zelenodolsk plant named after AM Gorky.